The ‘200 Club’ began in the 1980’s as a fund-raising scheme for the Forman Memorial Hall. In that time, it has contributed around £400 every year towards the upkeep of the Hall. This year we are doing things differently. 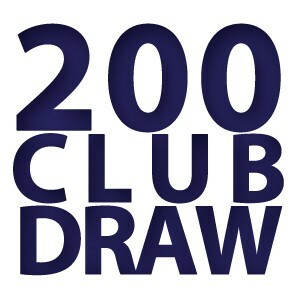 The new ‘200 Club’ will be relaunched in April this year with bigger and better prizes! Members will each pay £10 per year to become a member of the club. (That’s less than £1 per month). Each member is then assigned a number (from 1 through to 200) and will be given a ticket valid from April 2018 to March 2019. As you will have seen from the 2018 programme the theme for this year’s supper is Indian Fusion and this will take the form of a ‘bring and share’ supper at the Forman Hall on Saturday 24th February at 7.00 p.m. for 7.30 p.m.
As the term Indian Fusion may cause some confusion we have, as usual, drawn up a list of dishes for the evening which is shown below. All the recipes can be found below. Due to the snow, the Roberton Show AGM has had to be postponed from Thursday 18th January 2018 to a date to be confirmed shortly. The February Supper is still as popular as ever and it will take place this year on Saturday 24th February. The theme will be Indian Fusion, we will, of course, supply the necessary recipes for the event. Further details, including the competition, will be circulated soon. According to the Superfast Broadband website, the Borthwickbrae exchange is now not planned to be upgraded until "July to December 2018". Friday 1st September 2017 - 1pm - Meet at Show Field for table clothing and miscellaeous jobs. The big news this month is that BT MAY be bringing Superfast Broadband to the Borthwickbrae exchange this year. On the Scotland Superfast website, they say they expect to connect the first premises by December 2017, but we know that in other areas these deadlines have regularly come and gone so it’s maybe too early to get excited about it. Well, I'm reluctant to get my hopes too high, but according to the Scotland Superfast Broadband page, the Borthwickbrae exchange that was previously listed as "Planned" for Superfast Broadband is now saying "Coming Soon", with a date of December 2017 for the first premises to be able to receive Superfast Broadband. This could mean that the Borthwickbrae exchange is being upgraded as part of Openreach's Gainshare program. Gainshare is the term used to describe the money pot that BT/Openreach had to set aside if the take-up of Superfast Broadband was better than expected. This is money being ploughed back into Superfast Broadband-enabling new exchanges. Thank you to all valley residents who took the time to complete the Valley Survey earlier this year. The surveys have been analysed and the results are in the attached PDF file. Click on "Read More" and then click on the PDF file to download it. At a recent meeting for Borders Community Broadband, we learned that we have an additional £300,000 to roll out Superfast Broadband to the Borders. This takes the total upto approx £2.2million, which means more homes should be connected.